Researchers at the Australian Radiation Protection and Nuclear Safety Agency (ARPANSA) have looked at the incidence of different types of brain tumours in adults including glioma, glioblastoma and meningioma diagnosed between 1982 and 2013. The brain cancer diagnoses of 16,825 cases were compared with the uptake of mobile phone subscriptions in Australia. The study found overall brain tumour rates remained stable throughout the period, with no increase when compared with the increase of mobile phone use in Australia. There was an increase of glioblastoma during 1993 and 2002 which was attributed to better diagnostic techniques with advances made in magnetic resonance imaging (MRI) technology. 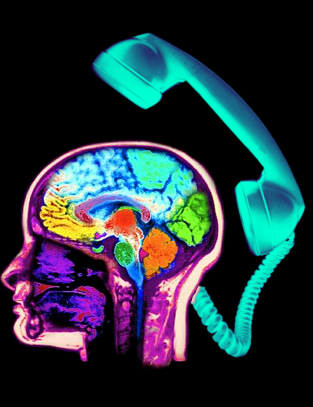 Although mobile phone use has risen rapidly since 2003 there has been no increase in any brain tumour types since then. Since 2003 there has also been no increase in brain tumours of the temporal lobe, which is the location most exposed when using a mobile phone.